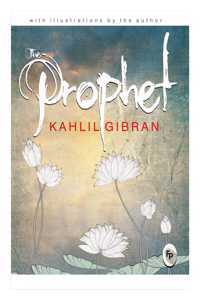 Famous Lebanese-American artist,poet,and writer,Kahlil Gibran's best-known work -The Prophet,is a book of 26 poetic eassays. When you love you should not say,"God is in my heart," but rather,"I am in the heart of God." -you will come across many such intriguing lines in the book. Even after you have finished reading the book,the words will still ring clearly in your mind.